I found this tool set in the frunk of the 911, underneath the carpet and spare tire(which I didn't know was still in there). 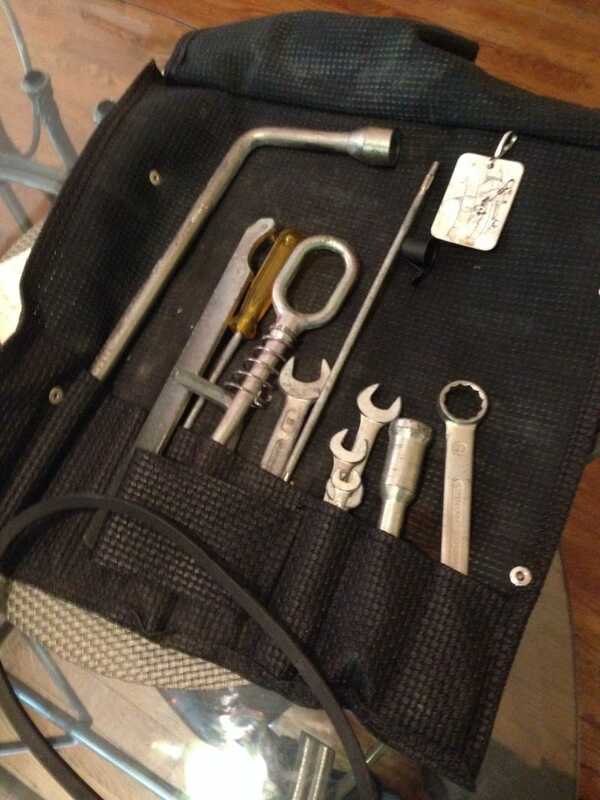 It might be it's original tool kit that comes with the car! I wonder how helpful they'd be in fixing the car. Here's the spare tire too! And this other thing I found, not sure what this tool is either.